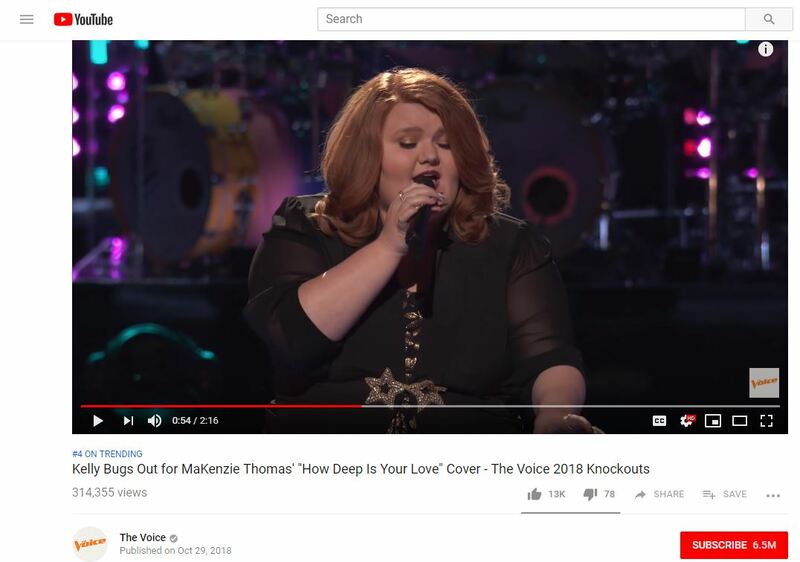 MaKenzie Thomas sang “How Deep Is Your Love” by the Bee Gees during The Knockouts round on Season 15 of NBC’s The Voice. In 24 hours, it peaked at #4 on YouTube Trending and received 300k YouTube views. Her performance received 794k+ total views and is approaching 1 million YouTube views. As MaKenzie sang, the warm chords from the acoustic guitar harmonized beautifully with her voice. Together, MaKenzie Thomas’ soulful vocals and the acoustic guitar filled the room. This acoustic rendition was memorable because it showcased vulnerability that resonated with the viewers. To receive more updates about MaKenzie, follow her at @itsMaKenzieT.